To offer rough sleepers access to a bed if available from Central Placement Services or provide them with a sleeping bag, some hot drinks, food and a chat from our outreach volunteers. Due to the support we received in 2018. we continued to provide beds from Central Placement Services and offer services through our dedicated outreach volunteers. To operate through our day service - case management alongside client referral also advocating on behalf of clients who are finding it hard to gain access to service. We continued to operate our day service and assisted in client referral in aid of gaining access to much needed services. ICHH is a volunteer led charity therefore we have to rely on donations from the public and have to come up with new ideas for fundraising. The Annual ICHH Cup 1-day football tournament is one such initiative and is supported by many sponsors, volunteers and local businesses. 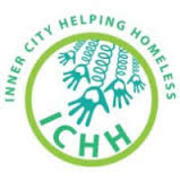 We successfully help our Annual ICHH Cup which allowed us to provide the support and services for inner city homelessness.